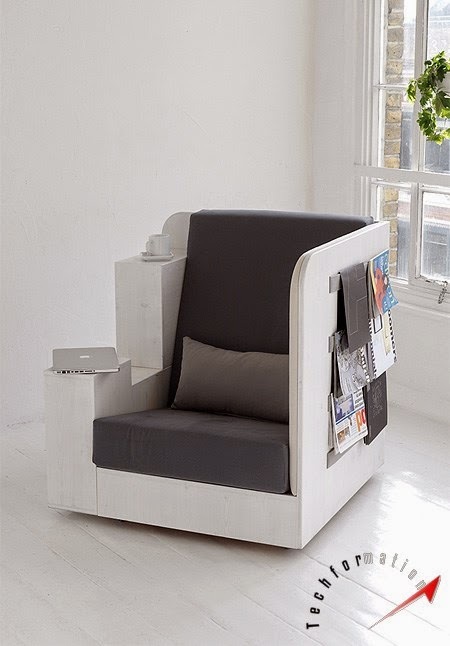 This creative chair design helps the reader accessing all his favourite books at one place with out moving from there. 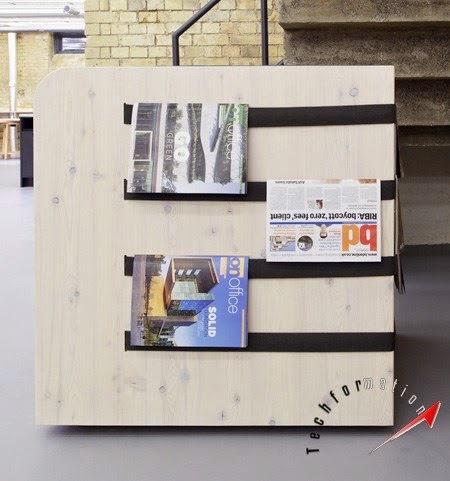 The design includes an attached bookshelf with 3 different sized racks which can also be used as an armrest as well as to keep some stationery or laptops or even coffee. 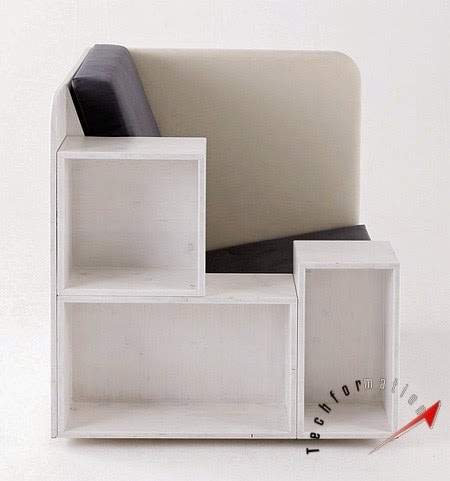 On the other side, magazines, newspapers or other paperback books can be suspended over thin slots attached to the chair. 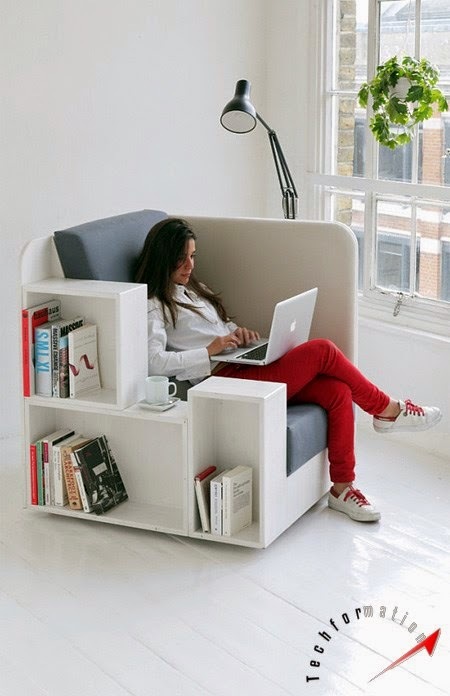 This chair is ideal for home, office and library purposes.